I am a native Floridian, but have traveled to many of the United States during my growth as a woman, wife, mother, sister, Christian, quilter, and poet. Life is too varied, exciting, disappointing, adventurous, tragic, and comical not to write about it. My poetry reflects my life, my emotions, my dreams, and my faith and continues to emerge in unexpected spurts at unexpected times. Publication has not been a top priority in my life; although, I have been published in various anthologies and small press magazines and newsletters over the years. 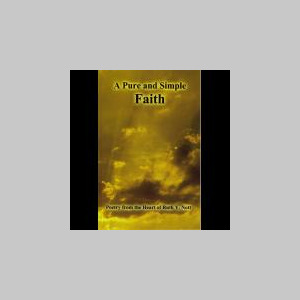 In recent years I have self-published five books of poetry: A Pure and Simple Faith, Garden of Faith, Where Memory Lingers, Crazy Patch, and Haiku for Lovers, as well as helped my family complete two family anthologies titled Family Matters and Family Matters Vol. II. All of my books are available on Amazon.com or from my website at http://www.ruthnott.com . Thank you for visiting. Come back and bring a friend!